Walter William and Anna Maria Pitcher had at least seven children. 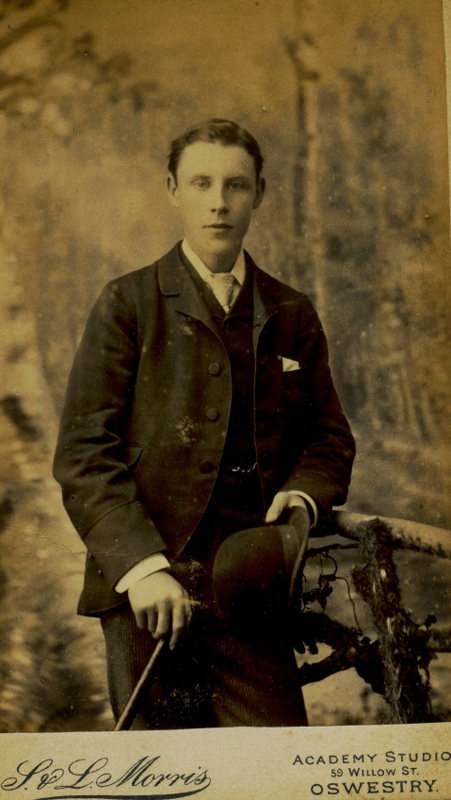 Francis Henry James – born in Thornbury on 29th September 1869. 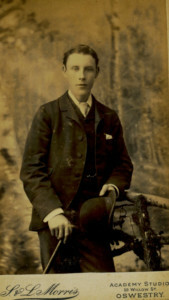 Francis worked as an ironmonger’s assistant in 1891. He married Dorothy Lily Boulton in 1889. In the Census of 1891 they were both living with Dorothy’s grandmother, Mary Ann Thurston, at Cockmead in Kington where she was assisting at her laundry. By 1901 he had moved away to Stafford and he was working as a mechanical engineer. Francis and Dorothy had at least one child; a daughter called Ethel was born in Bridgend in 1898. It appears that they had other children as we have been told of a Violet, Pearl, Queenie and Walter. We understand that Francis eventually moved to Manchester where he worked in the city transport department. Annie Maria – born in Thornbury in 1871. Annie was known as Nance. She appeared to stay at home and never married. She worked as a dressmaker and mantlemaker in the 1891 and 1901 Censuses. She died on 9th December 1923 aged 52 years and is buried in her parents’ grave at Thornbury Cemetery. The Gazette of 15th December 1923 contained an inquest into the death of Annie Maria Pitcher, then aged 52. She was said to be in good health when she went to bed. however when Wilfred P Winter who resided with the deceased took up a cup of tea to her bedroom he found that she was dead. She was lying face down on her pillow and it was decided that she had had an epileptic fit and suffocated. Her obituary in the Gazette refers to the fact that she was a member of the Thornbury Tennis Club. 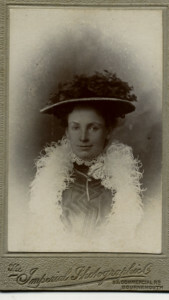 In 1903 Albert married Amy Louise Dealtrey in the Fulham area. At that time he was a grocer’s assistant. They had two daughters, Dorothy and Kathleen. 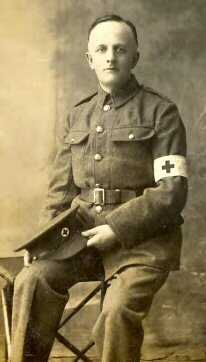 The photograph on the left of Albert shows that he must have served in the First World War in the medical corps. The Grocery article shows he worked as a ‘V. A. D. orderly in the Auxiliary Hospital’. Albert died in the Brentford area in 1930 aged 54. His probate record shows that he never forgot his home town. His house was called Thornbury House at 18 Bassett Gardens Jersey Road in Middlesex. Probate was granted to his widow Amy Louise.